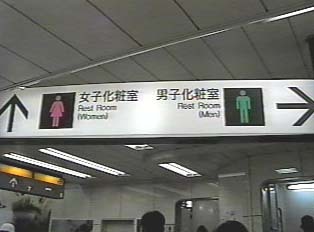 Public restrooms are frequently available in stores. 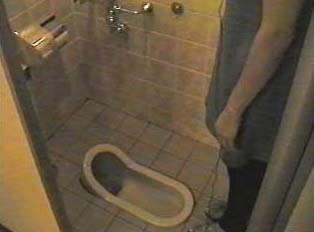 Many will have both Western and the Japanese-style toilets, which are flat to the ground. 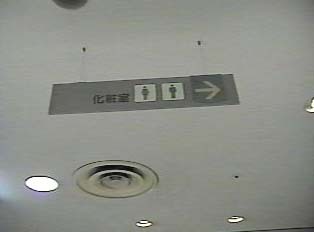 Most restrooms supply toilet paper, but at the train station it is often necessary to purchase toilet paper from a vending machine.